Exciting news! Further to our recent announcement, we have launched our PRO Plan! At this time, the option gives you the ability to remove the “Powered by Chatfuel” attribution from the bot’s Persistent Menu. 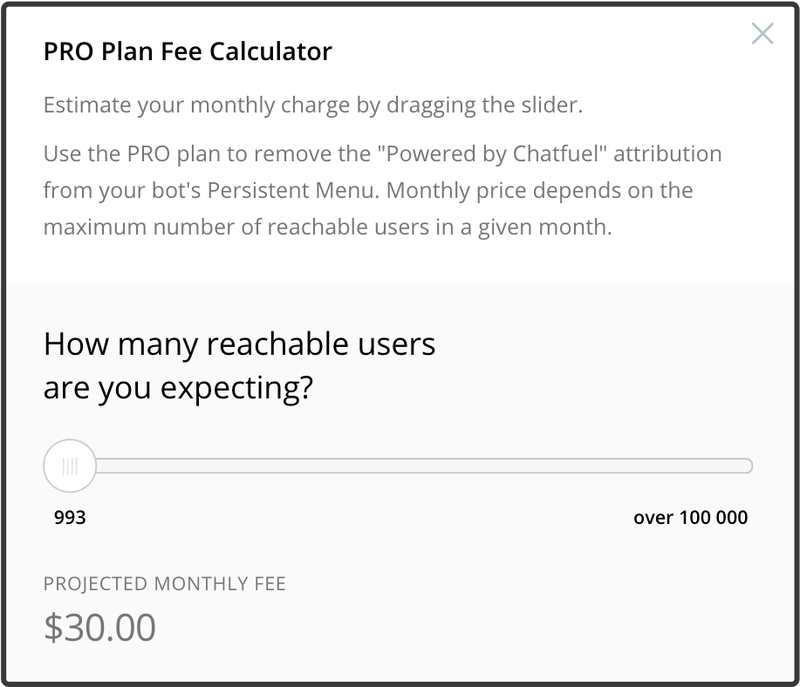 You can look up the pricing and subscribe to the plan by going to the PRO Plan widget under the Configure tab in the dashboard. More premium features to come soon!